As initiated by the Municipality, a special Social-Investment Fund will be created ? a project of 240,000 leva. 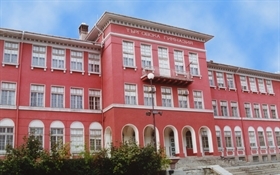 The Fund?s money will go for the construction of a gym at the Naiden Gerov Secondary School, situated in the Stolipinovo neighbourhood, inhabited predominantly by the gipsy minority. Here we mention only educational institutions with larger amounts attributed to their reconstruction needs. The reconstruction activities are performed by companies whose bid was the most favourable and they will report their job to the regional mayors themselves.